2012 was not the easiest. But I’m not going to dwell on that. Needless to say, I am happy to remember the positive bits of 2012, and move on to 2013, which is still very new and shiny. 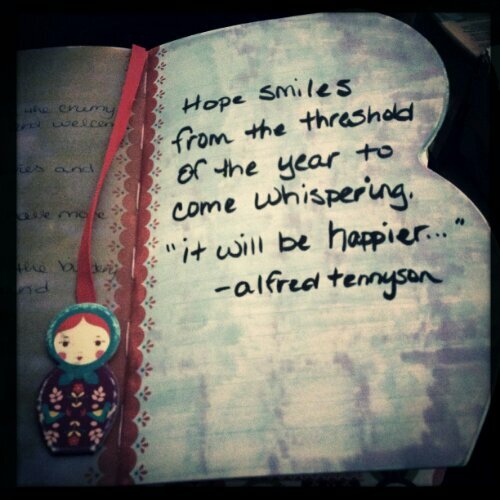 I found that quote in a friend’s Instagram feed and added it to my journal. 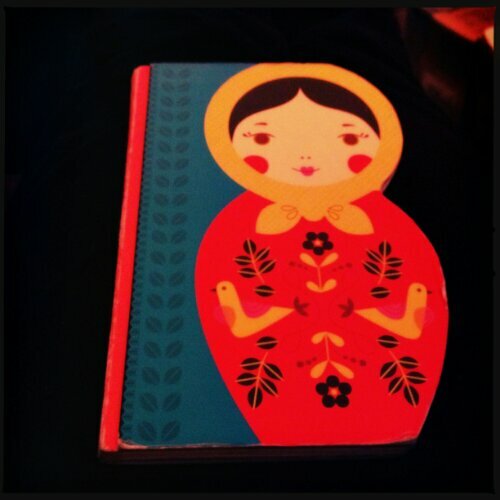 This is actually the last entry in my sweet little Russian doll journal. I’m starting a new journal tomorrow. This new journal is one that I made…not as cute, but it will be pretty cool I think. • journal and practice writing more often. I really want to be in the habit of writing every day, but writing a couple of times a week would be a great start. I write a lot that goes with my art work, and I need more time and practice for that. • make progress on my Advanced Certificate in book arts. Which means giving myself the time to takes class or two. • to not beat myself up so often. To be kinder to myself and others. To not blame myself for everything. To be more accepting that things aren’t perfect and that’s OK.
• to go to more movies and plays, to allow myself more fun time and not work constantly. • to let my show in the bindery gallery be bold and different and to not be scared about that! Happy 2013! May it be awesome!